February is turning out to be a very productive month. 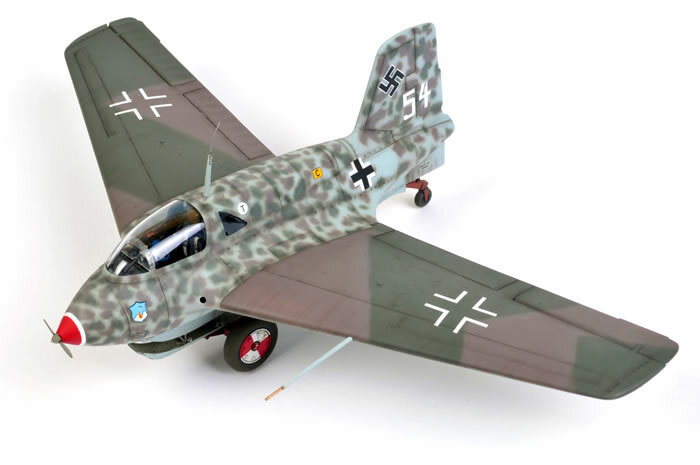 Here is my third February completion, Hasegawa's 1/32 scale Messerschmitt Me 163 B.
I rescribed and riveted the exterior surfaces of the model; and installed the very nice CMK cockpit, which supplies resin and colour photo-etched parts. I also added some scratch built details to the interior, the wheels and the landing skid. Although I am usually an acrylic stalwart, I decided to use some Testor's Model Master and old Aeromaster enamel paints that had been sitting around here for years. I was particularly interested to see what Aeromaster's interpretation of "RLM 81A" (not an official designation, by the way) would look like. This is a very violet and quite pale colour compared to what you might expect to see in a fresh coat of RLM 81 Brown Violet, but it is interesting to say the least! The nose and wheel markings have been masked and sprayed. Decals are from Eagle Strike Productions, Item No. 32055 "Komet Me 163 Part I". I used the instructions as a painting guide, as I was keen to try out the tight spotty mottle with a fairly hard edge. However, Murphy's Law struck just as I had completed the paint job. 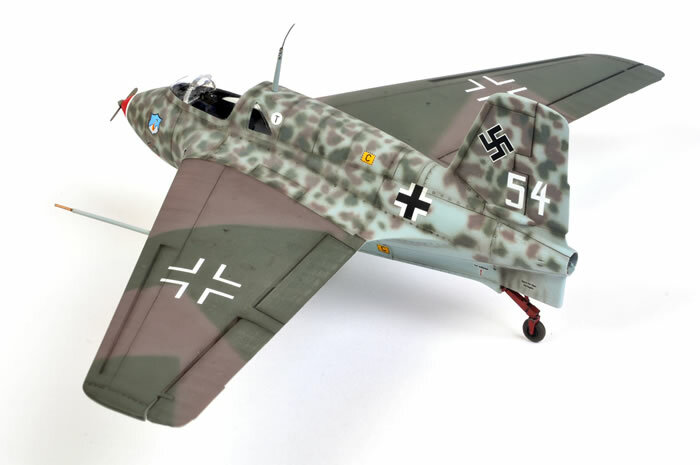 I found some good reference photos of this aircraft online showing a patchy, uneven camouflage on the tail and fuselage, and two big bare metal panels just inboard of the wings - not really spotty at all. I tossed up whether to mask off the markings and respray the fuselage and fin but decided against it at this stage. 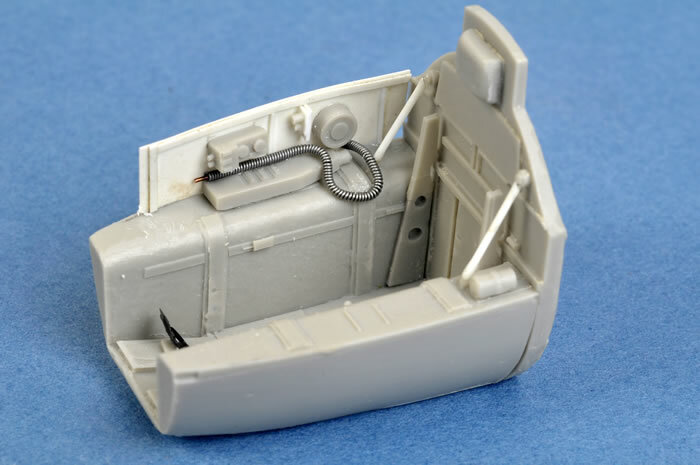 Now that I have done this extra work, I'll bet Dragon will release their 1/32 scale Me 163! 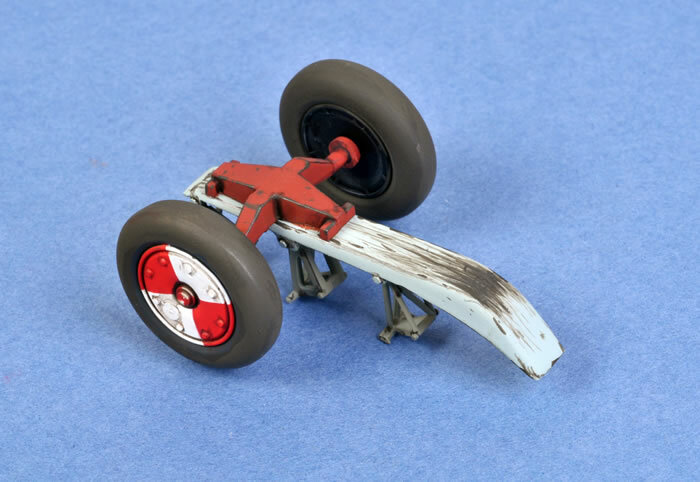 This model will be the subject of a big Chapter in a forthcoming Osprey Masterclass book on Luftwaffe Jet and Rocket Aircraft.